Greetings from Unions-America! We are North America's premier union Internet company, and we are proud to count you as one of our clients. We're working hard to help you help keep your members better informed. Communicating your union's message to your members is crucial when there's so much “noise” out there! We are here to help, and always pleased and willing to hear from you. We include our contact information in each monthly e-newsletter (see below) to make it easy for you to get ahold of us! 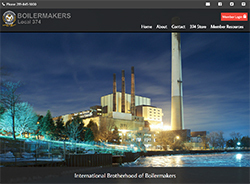 Take a look at the new site we recently updated for Boilermakers Local 374. Contact us today to learn about options for updating your organizations website. VIDEO IS CRITICAL - Are you using video on your union's website? If not, you're long overdue to get started. Communications “experts” surveyed for 2018 trends unanimously listed the increased use of videos on websites and mobile apps as a key component for increasing traffic and hits. If you've yet to dip your toes into the video water, it's easier today than ever before. Even simple, raw, unedited video shot on your phone can do the trick. Many phone apps even feature easy-to-use video editing features, but you can stage a 1- to 2-minute video easily without the need for editing. Once done, here are two easy options for posting it to your website. You can embed it directly onto your website through your Unions-America admin area. We won't go into all of the details here, but it's easy enough and we can help you! Another simple option is to set up your own YouTube channel. That's also easy to do, uploading to YouTube is just a couple of clicks and then each of your YouTube videos gets its own URL (web address) that your members can click on just like any other link. Again, we can help you! If you have any questions, just see our contact section below. BEWARE SOCIAL ENGINEERING HACKS - Adding video is a positive move you can make for 2018. One of the growing negatives to avoid in the 2018 cyber world is hack via social engineering. “Social engineering” is a form of theft accomplished by getting someone to divulge information through (frequently) psychological manipulation. Yes, that's a mouthful. More simply put, social engineering occurs through deception. Sometimes cyber thieves will appeal to a person's vanity or greed. Other methods include appealing to a person's willingness to be helpful. You've all seen the e-mails from someone in Nigeria who has $10,000 for you if you'll just place a small contribution into X bank account. That's an early, rudimentary form of social engineering, but the practice has become much more sophisticated. It can include malware installed from an e-mail, e-mails pretending to check for malware on your computer that actually install malware instead or e-mails that look for all the world to be from eBay or Amazon or such asking you to “confirm” personal and/or account information. The good news? You're highly unlikely to be the first person they've tried this on. The disadvantage of the Internet is also its advantage. If you see something that looks even slightly suspicious, go to Google or such and search for “eBay scam.” If it's out there, someone will have reported it. SUPREME COURT TO HEAR JANUS THIS MONTH - A quick update on a topic we've discussed before. The U.S. Supreme Court is scheduled to hear arguments on Janus vs. AFSCME on Feb. 26. This is the case that challenges the legality of “fair share fees” in the 22 states that allow them for public sector unions. A nearly identical case, Friedrichs vs. California Federation of Teachers, ended in a 4-4 tie after Justice Antonin Scalia's death in 2016. If the high court upholds the Janus challenge, unions in the 22 impacted states will need to change the way they do business and collect dues. Given the court's usual schedule, arguments in late February point to a July or August decision announcement. TECH TIP - How to Show Full Image of PDF, Word Doc, etc. On Your Website or Email Blast - Have you ever wanted to insert the full image of a PDF, Word Document, or any other non-image file into your website, email blast, etc. but it just won't work? 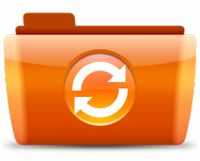 The trick is to convert your non-image file into a valid image file such as a .jpg - you can even link the image to the original file so that users will open the original file upon clicking the picture of it. Click here for step by step instructions. FEATURED PRODUCT OF THE MONTH - This month, we don't want to talk about a product so much as an opportunity for you! We have an ongoing referral program for current clients as a way to say “Thank You!” for your continued service. If you refer a new client who purchases a UnionActive website package, we will credit your organization's account for 6 months of hosting service on your main website! Just have the person you referred mention your organization's name as how they heard about us. If you refer a new client who purchases a regular web hosting package, we will credit your organizations account for 3 months of hosting service on your main website! 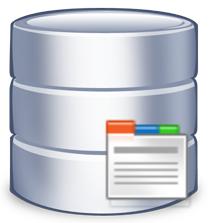 We can host just about any type of website including WordPress, Joomla, Drupal, ASP.net, PHP, or a custom-built site. Remember, we are an all-union Internet company, we were the first all-union Internet company and we stand with you, our union sisters and brothers!